Target Marketing Solutions, in Howell, Michigan (Metro Detroit, MI) can produce imaginative and informative Internet or corporate and business videos that will allow you to reach the largest audience possible or innovative training videos to a focused few. 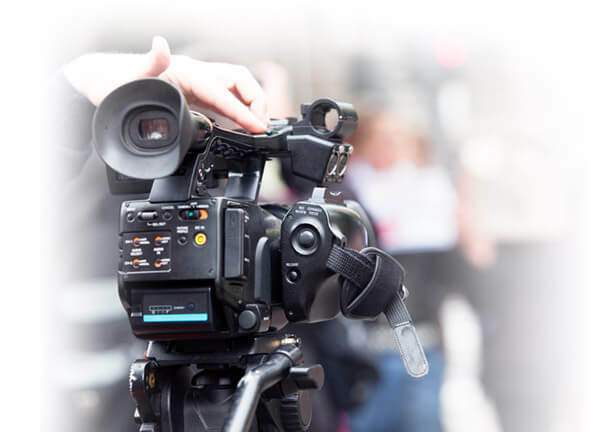 Company marketing videos for your website, factory tour videos, educational videos, B-to-C videos, and informational videos are all among a myriad of possibilities. We're Michigan-based videographers serving the business and corporate community and individuals in the Detroit, Michigan area and across Michigan with creative video production services, video editing, writing, post-production, and distribution capabilities. Once our videographer produces your video, Target Marketing will give the video the search engine exposure boost that it needs to be seen. We’ll search engine “optimize" or "SEO it" so searchers/sales prospects will be able find it on Google, Yahoo, Bing, YouTube, Twitter, Facebook,and other social media sites. Without this step, the video will be invisible in the vast sea of Internet clutter. Video plus the right marketing distribution to your audience to view is an increasingly necessary one-two web marketing punch that should be considered. We're available for in-person, no-obligation meetings in Michigan (Detroit, MI, Grand Rapids, MI, Lansing, MI, Flint, MI, Ann Arbor, MI, Port Huron, MI, Kalamazoo, MI, Battle Creek, Saginaw, MI, Bay City), Ohio, Illinois, and Indiana. A customized video production plan for both desktop and mobile for your business can be discussed in detail at that time.